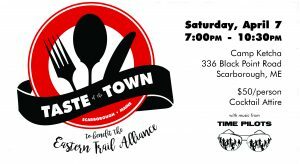 Join the Eastern Trail Alliance on April 7th at Camp Ketcha for a delicious event to benefit the “Close the Gap” Campaign. The gala will feature music from the Time Pilots, tastings of signature dishes from local restaurants and a silent auction. A cash bar will be serving local beer and wine. Proceeds from the event will help fund a $4.1 million fundraising effort to close a critical 1.6 mile gap in the trail between South Portland and Scarborough. While it’s true that the Maine Department of Transportation (MDOT) will be filling a large portion of the remaining gap, the agency is depending on the Eastern Trail Alliance to continue raising funds. 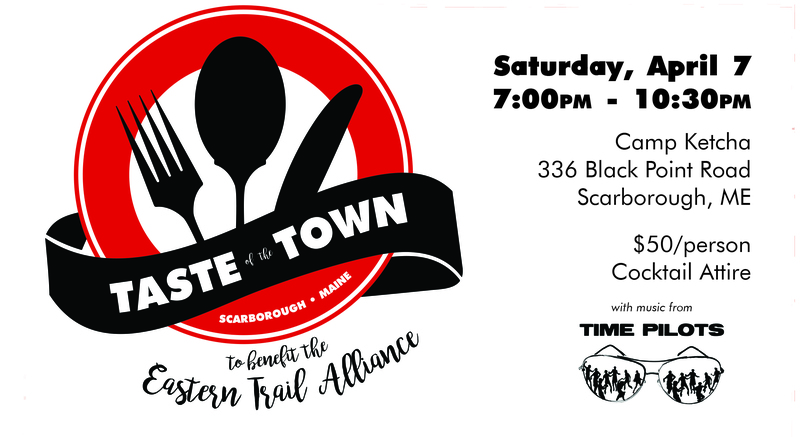 So put on your dancing shoes and have some fun while you support the Eastern Trail. Tickets are on sale at EasternTrail.org.